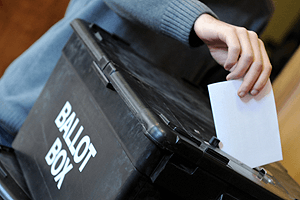 What would the country look like under proportional representation? The 2015 UK General Election was most notable for producing a result – a Conservative majority – that few had predicted. Perhaps the second most discussed aspect has been the difference between the amount of votes gained by smaller parties, and the number of seats that they won. Between them Ukip and the Green Party won about 5million votes, but just 2 seats. It’s possible to use published voting results to redraw the country as if proportional respresention was in play, with each party being awarded a number of seats based on the proportion of the overall vote that they gained. New flow data sets from the 2011 Census of Population are being made available by the Office for National Statistics for the first time today via the FlowData website and other sources. FlowData is part of the Census Support, a value-added part of the UK Data Service; the flowdata team are Oliver Duke-Williams and Vassilis Routsis, of the Department of Information Studies at UCL. Flow data – also known as interaction data or origin-destination data – are a specialised form of data about flows of people between two locations. These include migration flows between an origin and a destination, and journey-to-work flows between a residence and a workplace. Think of the potential social justices, innovations and developments in a world where there is greater government transparency, participation, accessibility and accountability. In April 2014 I was given the outstanding opportunity to contribute to research, which will help to lead to such developments. I am an InterPARES Trust researcher at the Department of Information Studies, UCL currently conducting a project, which is part of fundamental ongoing research into Open Data, Open Government and access to information. The central aim of the project is to consider the role of recordkeepers in the context of new obligations on UK government bodies towards open government, open data and enabling greater information access to citizens. We are particularly interested the proactive release of data and information by public sector organizations under the provisions of open government initiatives.The Open Government Data and access to public sector information environment in the UK and Europe in particular, is being transformed and therefore throws up questions about the roles and responsibilities of the professionals who are engaged in delivering services to citizens. Recordkeeping policy on access and the legislative and regulatory frameworks need to be clarified and the role of the recordkeeper within this framework needs to be examined. 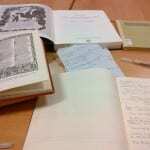 The Arts and Humanities Research Council (AHRC) and the British Library are launching a two-year research project which will explore the future of academic books in the context of open access publishing and continuing digital change. Dr Samantha Rayner, Director of the Centre for Publishing at the University College London (UCL) will lead the project ‘Communities of Practice: The Academic Book of the Future’. Alongside colleagues Simon Tanner and Professor Marilyn Deegan from King’s College London and Nick Canty from UCL. See full details. A team from DIS has been awarded an Elearning Development Grant (ELDG) from UCL ELE (E-Learning Environments) to develop a linked open data bibliographic dataset based on BIBFRAME, the new standard for bibliographic records. Being based on RDF – the standard metadata language for the Web – BIBFRAME enables semantically interlinking bibliographic datasets on the Web, and improves the interaction with web users by enabling them to access, retrieve and update bibliographic records online. The aim of this project is to develop a BIBFRAME dataset as an Open Educational Resource, which will help students learn the new standard in an interactive way, and in the same time become familiar with state-of-the art web technologies. A key component of ELDG projects is student involvement, and we are currently recruiting a student systems developer to work alongside Dr Antonis Bikakis and Anne Welsh to carry out programming work and develop content. Later in the project, they will receive guidance from Simon Mahony on the creation of Open Education Resources. Dr Charlie Inskip will work with a group of students to devise and implement iterative evaluation strategies for the project. There has been a great deal of interest in BIBFRAME within the UK cataloguing community. We will be looking for experienced practitioners to test the resource in 2015. If you are a cataloguer who is interested in testing, you can let yourself be known to Anne Welsh at the Cataloguing and Indexing Group conference in Canterbury in September, or watch LIS-UKBIBS for invitations to focus groups and to the dissemination activities at the end of the project. The Linked Open Bibliographic Data team are: Dr Antonis Bikakis (Project Lead), Anne Welsh (Project Coordinator), Simon Mahony and Dr Charlie Inskip. We would like to thank Dr Rob Miller (DIS Head of Department) and Dr Mira Vogel (Faculty Elearning Facilitator) for their encouragement. Image: E-Learning Development Grants page, UCL ELE. We are proud to announce that Faber and Faber and UCL have awarded the second David Tebbutt scholarship to Helen Hughes, currently in her final year studying English, history and creative writing at the National University of Ireland in Galway. The Scholarship was established in memory of the late David Tebbutt, Finance Director of Faber and Faber from 2002 until his untimely death in September 2011. 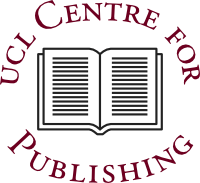 The UCL David Tebbutt Scholarship is awarded annually, to fully fund a place on the UCL MA in Publishing programme. The scholarship is funded by the David Tebbutt Trust, which is jointly administered by Faber and Faber and the Tebbutt family. The principal aim of the Trust is to further the education of those wishing to pursue a career in the publishing, writing and information industries, and related fields of activity. As well as funding a full year’s fees, the scholarship also carries a guaranteed work placement with Faber and Faber. The Labour Party has recently launched a new website which tells you your supposed ‘NHS Baby Number‘ – that is, if all the babies born under the NHS were placed in order, which one you would be, from the very first, born on July 5th 1948, to the very latest. It is an interesting piece of viral marketing / campaigning, but one which deserves a little more critical attention. The sale of rights is crucial to the activities of literary agencies and publishing houses, and can be a major factor in building an author’s career and maintaining author loyalty. For publishers, the sale of rights can also have a major influence on the overall publishing decision and on their profitability. This new two-day course is aimed at staff handling rights for literary agencies and publishing houses. It will cover the rationale for selling rights as well as the practicalities – checking control of the rights and maintaining an accurate database of submissions and sales, as well as key activities such as researching particular markets, identifying potential licensees and building personal contacts at book fairs and on sales trips. The course will address a range of different rights categories, from English language deals in the UK and abroad, translation rights, serial rights to newspapers and magazines as well as non-print rights such as radio and audio rights, film and television rights and merchandising. It will cover the rationale for coedition versus licence deals, and offer practical advice on how to achieve the best deal and finalise appropriate licence contracts. The final session will cover electronic publishing and will aim to distinguish between arrangements which are sales channels to market, and those which are true electronic licensing deals. The course will include two group exercises for delegates. Your tutors have a wide range of experience in different sectors of the book industry. On 15 May we were pleased to welcome CILIP’s accreditation panel to the department to discuss our Postgraduate Diploma and MA Library and Information Studies (PGDip / MA LIS) and Postgraduate Diploma and MSc Information Science (PGDip / MSc IS) courses. Both courses have now been reaccredited for the maximum 5 years, until May 2019. We really enjoyed meeting the panel and taking part in the process, which, for the first time this year, was informed by CILIP’s new Professional Knowledge and Skills Base (PKSB). Introduced by CILIP in 2013 after widespread consultation with the information profession, the PKSB is a useful professional development tool against which all accredited library school courses are now mapped. At its heart are core ethics and values which underpin generic skills in leadership and advocacy; strategy, planning & management; customer focus, service design & marketing; and IT & communications and professional expertise in organising knowledge & information; knowledge & information management; using & exploiting knowledge & information; research skills; information governance & compliance; records management & archiving; collection management & development; and literacies & learning. These are set within the wider contexts of the library, information & knowledge sector and the organisation and environment. As education providers, the PKSB provides a structure within which we can prepare our students for their future careers: since 1919, when UCL offered its first library courses, developed with one of CILIP’s predecessors, the Library Association, we have aimed to equip our graduates not only with theory, but with the skills they will further develop throughout their careers, and for UK information professionals the framework for Continuing Professional Development (CPD) is now the PKSB. We are pleased that both our programmes have been reaccredited and happy to have the PKSB to use with our students alongside UCL’s own Personal and Professional Development (PPD) resources. We look forward to continuing to work with the many professionals who share their expertise with us through guest lectures and talks and by hosting work placements for our students, and to welcoming those who can make it to our summer drinks party this evening. We are always happy to hear from experienced practitioners who would like to form links with the Department. Contact details for both our programmes are available on the CILIP website and, of course, our departmental webpages. Our next Cilip reaccreditation is scheduled for May 2019.